There was one additional item added to last week’s Design Review Committee meeting agenda (you can click here to view the preview post). Despite this, the committee still only heard three items as representatives for the first one did not appear. 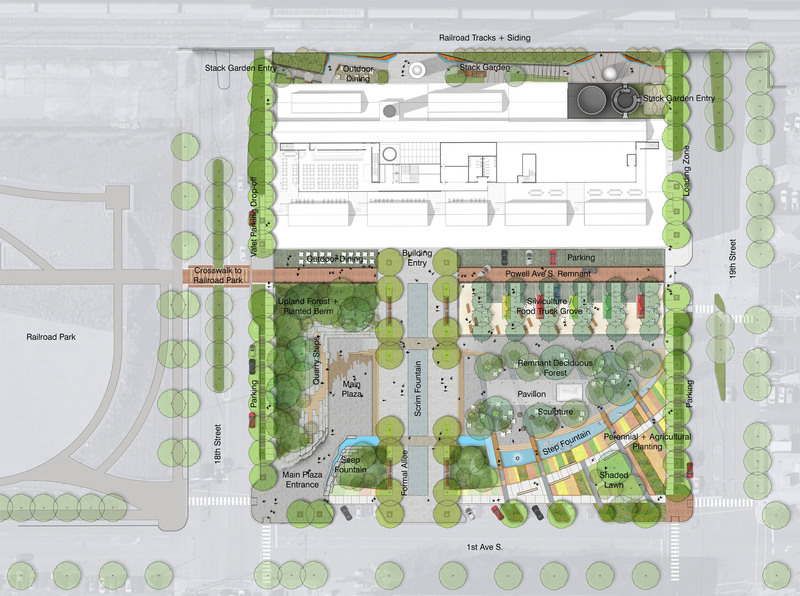 The path forward involving the item — a parking lot — will go a long way toward defining how a major entry point into the city’s central business district looking in the short term. The property in question is owned by Robert Crook and currently leased by Alabama Media Group (AMG)/AL.com. It sits on the southeast corner of 18th Street and 1st Avenue North — sitting catty-corner from the soon-to-be demolished BJCTA Central Station and a short walk from both Alabama Power’s Powell Avenue steam plant and Railroad Park. 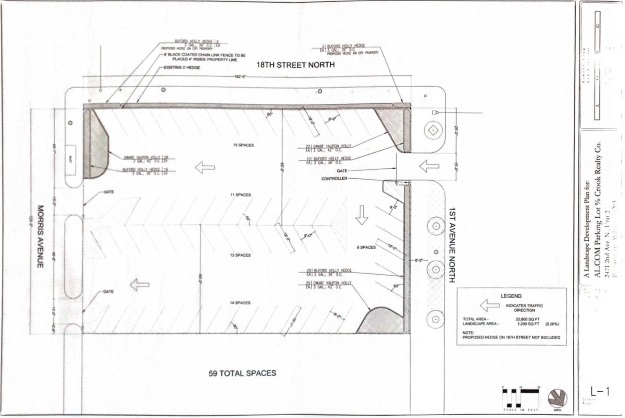 The proposal presented called for a six-foot tall black chain link fence to be erected around the property, delineating the difference between the parking spaces contained within and a vacant lot directly to its east. Representatives for AMG told the committee the fence was needed to help deter people from cutting through the parking lot on their way to Railroad Park and the bus station. The current lack of a barrier along the 1st Avenue North and Morris Avenue edges of the lot had led to some vehicles being damaged. The fence would sit four feet inside of the property line and behind a Buford holly hedge already in existence along 18th Street and proposed to be extended along 1st Avenue North and Morris Avenue. The existing traffic pattern on the property would remain, with one way in off of 1st Avenue North and two exit gates along Morris Avenue. Committee members had concerns about the height of the fence and the precedent it may set moving forward. They requested Crook and AMG consider whether a shorter fence, particularly one four-feet in height, would be more appropriate. They pointed out that 3′ of that fence would be blocked from view by the Buford holly hedges. They also asked if the applicant would consider the placement of trees along the property edge. The item was tabled pending conversations between the applicant, the tenant, and the architectural firm working on the project. In other business, the committee approved the installation of a mural on the exterior wall of East 59; and they approved proposed changes to the exterior of the building that houses Unity of Birmingham in Highland Park. After last week’s excitement, Birmingham’s Design Review Committee meeting was rather sedate with mostly signage and a residential update. The single residential project on this week’s agenda was a material change. In May, the committee approved an exterior renovation in the historic Forest Park neighborhood that would have clad a house in hardie board. The architect returned to the committee to amend the plans and change the cladding to stucco, which remains in character of the neighborhood and the house. The committee approved with almost no discussion. Steve Looney of Commander Board Signs Inc. presented signage for Octane Coffee‘s new location. Those already familiar with their Homewood space will recognize this new tenant when they open later this year in the Uptown development’s Westin hotel. Reverse-lit channel letters will be installed on two sides their corner storefront. The committee approved. Another business preparing to open in Uptown is Texas de Brazil. The Dallas-based Brazillian steakhouse chain will open their Birmingham location across from Todd English P.U.B. on Richard Arrington, Jr. Blvd. N. The signage and elevation requests submitted by A.G. Gaston Design‘s Fred Keith included two outdoor dining areas, a panel canopy system, a red back-lit logo sign, and the bamboo planted in ceramic pots consistent with the chain’s design. The canopy, made of aluminum slats, perforated metal, and wood beams (for structural support) will wrap three sides of the building. The main entrance to the restaurant will be on Richard Arrington. After discussion on materials, the project was approved by the committee. Two signage requests were presented by Wes Daniels of Daniel Signs. First, Sekisui Pacific Rim’s Five Points location requested the installation of signage mounted on a raceway track. The letters would be LED lit. The committee expressed concerns on the sign’s placement in relation to the chevron details on the terracotta building facing. They also requested the building’s owner be contacted to implement a signage master plan. The committee approved with one member dissenting. Next, Daniels discussed new signage for Orbit Salon on 11th Ave. S. The original presentation included an aluminum framed sign with chrome letters and vinyl letters applied to the entrance for wayfinding. After a short discussion, it was recommended that the sign be reduced to simply the letters without a background. Then the committee members discussed how the sign would be mounted. Ultimately, both parties agreed to mount the letters with adhesive to reduce the potential damage to the stone façade on the building. A committee member brought up the inconsistencies with the building’s current tenant signage, which includes both building signs and canopies. The committee’s motion approved the vinyl door sign and the removal of the current illegal signage while asking for the owner to return with a signage master plan. Finally, prior to adjourning, the committee voted on recommendations for filling at least one vacant at-large committee seat. Three resumes had been circulated to members. 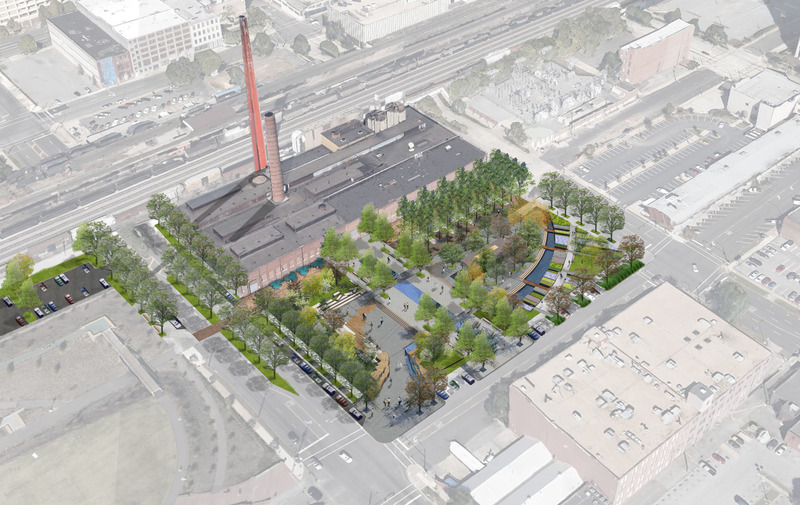 Two – those of Craig Hennecy of Hennecy Architecture and Shelia Montgomery-Mills of Civil Construction Solutions – will now be passed along to the Birmingham City Council for consideration. Twice a month, the city’s Design Review Committee convenes at the Auburn University Urban Studio to discuss and approve – hopefully – plans to make alterations to the city’s structures that fall within one of the many historic and commercial revitalization districts.